Tri-State Data Recovery is HIPAA compliant. If you work in the medical field and patient information is stored on your failed RAID server it’s imperative that you seek out a HIPAA compliant data recovery company or you could be subject to very hefty fines. 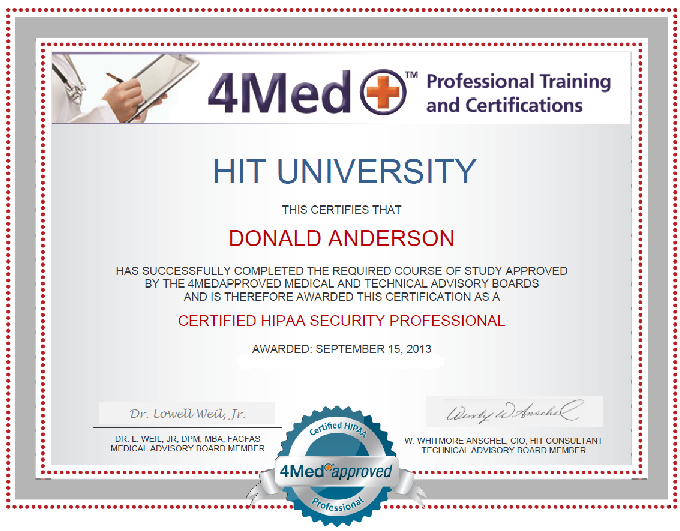 We have taken and passed the Certified HIPAA Security Professional course and follow all required guidelines. If you need a BAA made up for HIPAA compliance, please let us know and rest assured that your data will be kept confidential, and secure with all HIPAA guidelines followed.